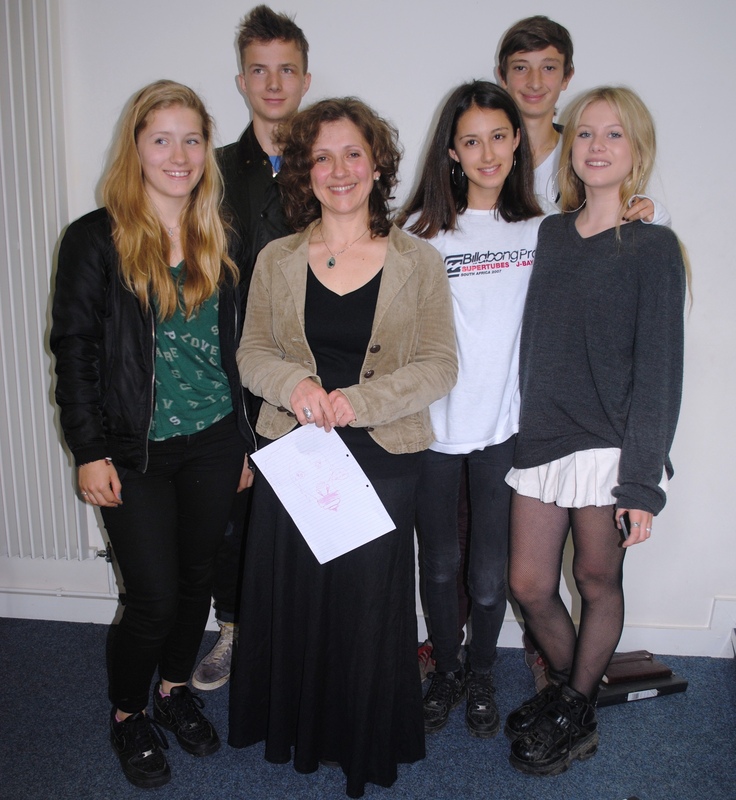 Last week we were joined by Daniela Elza, a Canadian Poet (of Bulgarian extraction!) who was a gap student here 22 years ago. Daniela spent three days with our students running workshops, a lecture, writing clinics and a fantastic poetry reading in the Lupton Hall. Rosanna in Block 4 was one of many students who said they felt her to be ‘truly inspiring’ and felt they had ‘many refreshing ideas’. I for one found some great opportunities to write and I am feeling very excited about the possibility of making poetry slams and readings a more prevalent feature of our students’ experience here next year. Read Daniela’s blog on her visit to Bedales. This entry was posted in Bedales School, English, Lecture and tagged Bedales School, Canadian poet, Daniela Elza, David Anson, English, Head of English, Lupton Hall, Poet, poetry by Bedales School. Bookmark the permalink.